If you choose the city of Turku as your starting point of your trip, the first break is worth taking in Parainen at the latest. In the center of the idyllic old town you can find the former home of Fredrika Runeberg, the wife of Finnish national poet Johan Ludvig Runeberg. According to a legend, there has been an unlicensed pub in this same building serving alcohol as early as in 1694. The refreshing drinks and delicious pastries of the café can be enjoyed comfortably in the courtyard which has a nice playground for children. Right next to the museum, you can also find a small handicraft shop. 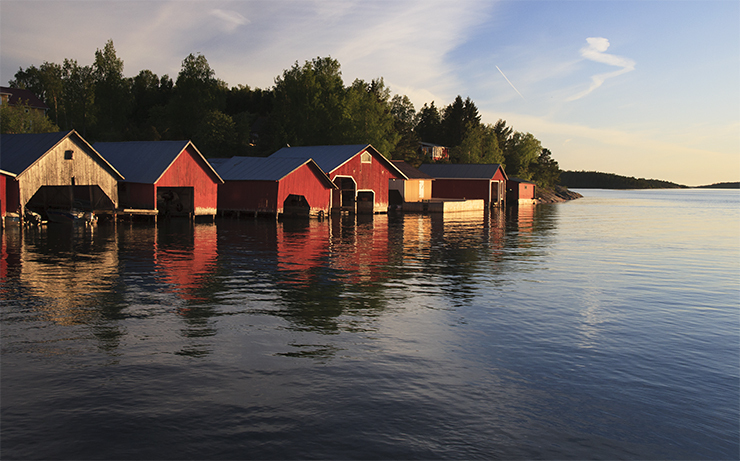 Airisto Resort, which is located on the island of Stormälö in Parainen, has been a popular spot among the boaters for a long time. The area, known for its rocky cliffs and sandy beaches, is a good choice even for a longer a pit stop. In Airisto you can taste delicious sea food, spend time in cafeterias, have a good time in a child-friendly sandy beach or meet the local sailors in the harbour. The resort has also good facilities for many summer activities – including tennis, cycling, fishing and canoeing. The island of Seili is one of the gloomiest places in Finland. 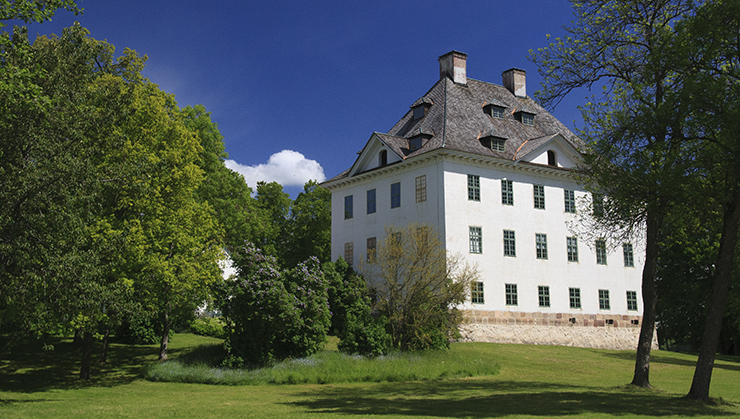 Seili became a sanatorium originally in 1619, when the King of Sweden decided to set up a leper colony on the island. After the closing of the leprosarium in 1785, a mental hospital was situated on the island until 1962. 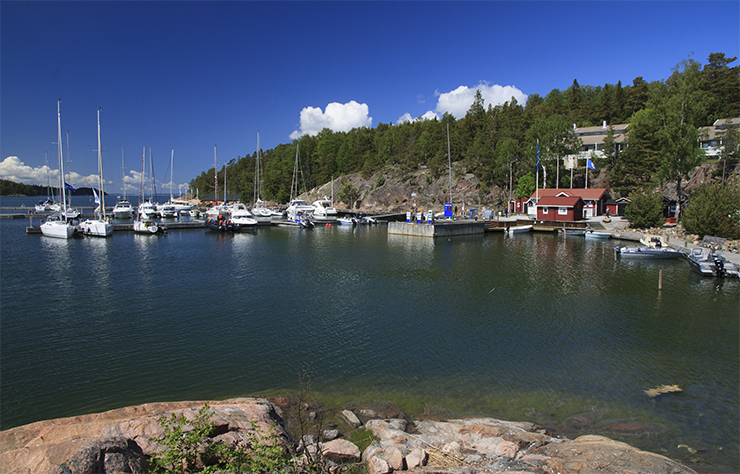 Nowadays, Seili is a popular travel destination which can be reached by a public ferry from Nauvo, Rymättylä and Parainen in summer. 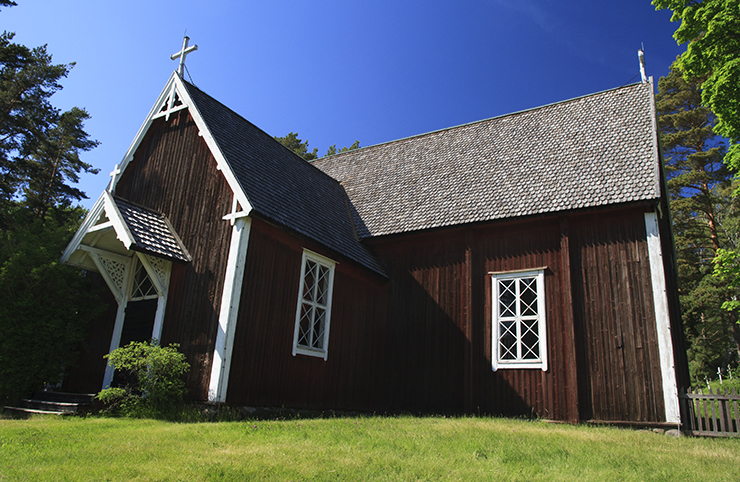 The most famous attraction in the island, the red wooden church, is open for visitors during the holiday season. While visiting the island you can also explore the nature of this mysterious island along the marked paths. The Barefoot Path, located on the island of Korppoo, is an interesting art exhibition that focuses on environmental art. The exhibition invites the visitors to experience contemporary art that has been created to interact with the environment. Every year the exhibition explores the relationship between human and nature and investigates how nature impacts people. ​The theme of the 2017 exhibition is Traces. Take off your shoes and feel the nature! 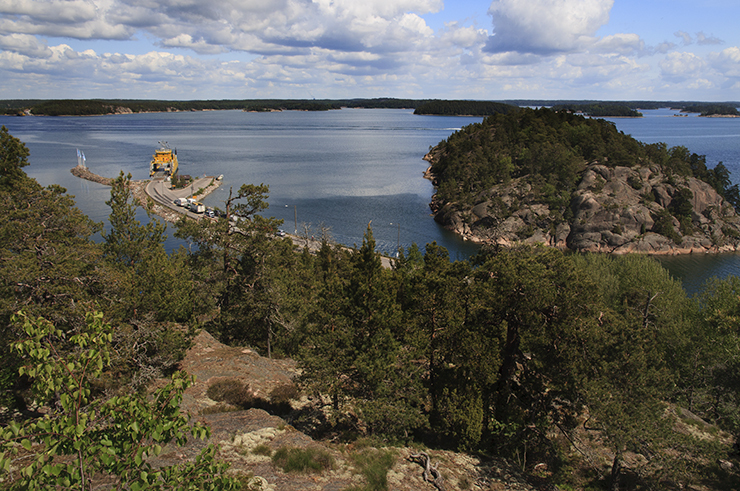 Ferry trips along the Archipelago’s Ring Roads are one reason to visit the area. Along the Archipelago Trail you can travel by seven ferries and one bigger vessel. The durations of the ferry trips vary from a few minutes to almost one hour. All the ferries along the ring road are free of charge, except for m/s Antonia which operates between Houtskär and Iniö and m/s Östern which operates between Rymättylä and Nauvo. 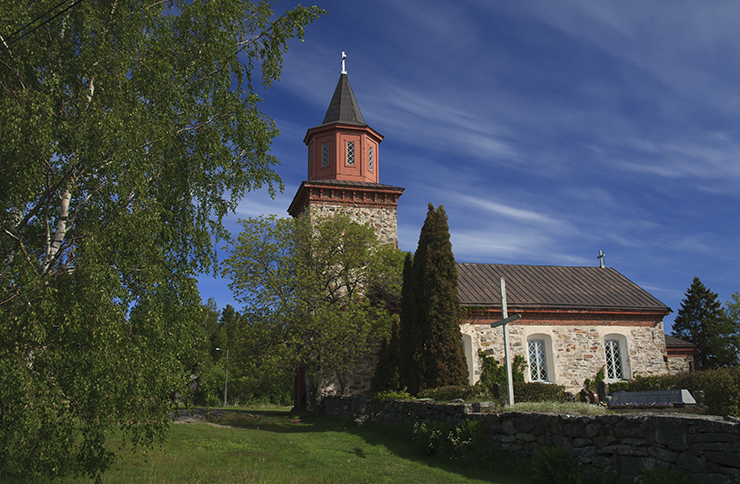 Sophia Wilhelmina Church, the most famous landmark of Iniö, is a great choice for a short pit stop. When visiting the church, pay attention to the boat hanging from the ceiling and the famous brass chandelier from the 17th century. In addition to the church and the idyllic small village center, you really can’t get far from the sea in Iniö as there are a total of 700 kilometers of shoreline in the area. The manor of Louhisaari, located in the middle of idyllic English-style garden, has been the most famous landmark of Askainen since 1650’s. The white manor belonged to the Fleming family for more than 300 years and then to the Mannerheim family for more than 100 years. The manor, which is nowadays owned by the National Board of Antiquities, is open to tourists from mid-May until the end of August. On a guided tour you can admire the original furniture of the castle, the beautiful antique items and the legendary ceiling paintings from the 1660s. The castle has been originally designed for different purposes: the first floor was planned for the servants, the second floor for the master and mistress and the third floor for celebration. After completing the guided tour, you can chill out in the magnificent garden of the manor. 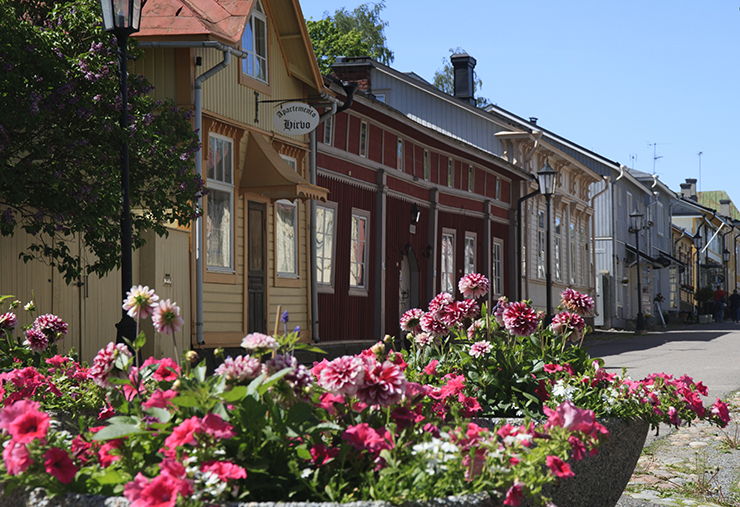 You should not leave the archipelago trail without a walk in the beautiful old town of Naantali. The colourful houses and villas built in the 19th century reflect the fascinating stories of the past centuries. On a walk in a promenade you can admire the beautiful seashore or visit one of the many beaches of the area. 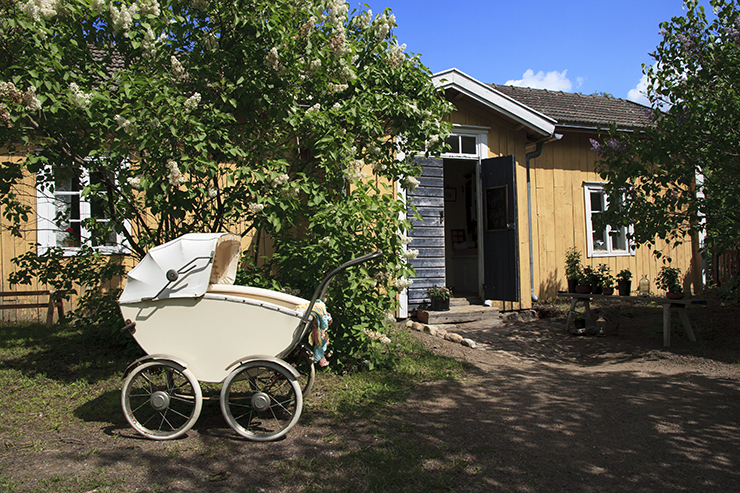 While in Naantali, you can also spend an unforgettable day in the Moominworld or take a guided walking tour in Kultaranta, the beautiful summer residence of the President of Finland. Even if it’s possible to drive the route in just a couple of hours, you will get the most out of the spectacular sights along the trail by reserving enough time for the tour. 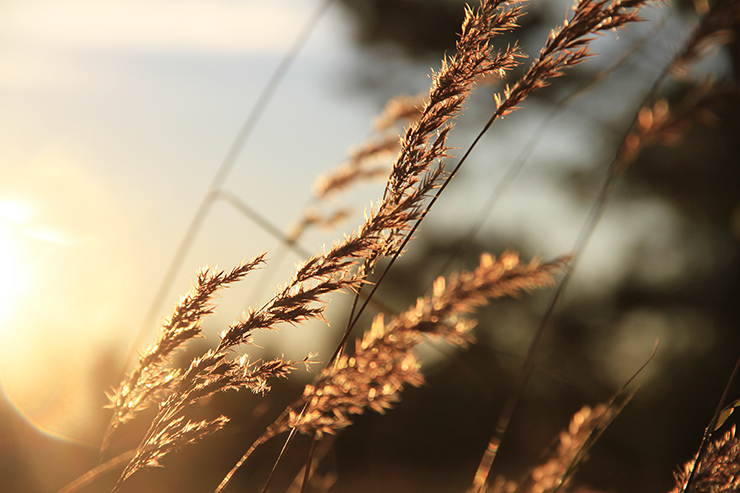 Whether you are a sea lover or a landlubber, The Archipelago Trail is an excellent choice also for a longer holiday. Juha Kalaoja is a geographer and photographer who likes to capture the beauty of the Earth to his photos. For more information, check out his homepage at www.juhakalaoja.com and take a look at his photographs at Fennevision.fi – suomalainen kuvapankki.